Ginetta is one of those names in the automotive world that somehow never quite seems to die. The company started back in 1958, building some striking low-volume sports cars based on British Ford running gear. They were effectively gone by 1989, but were reborn in the 2000s, and by 2010 were back making track and racing cars, mostly. They’re getting back into the road-car game, with a supercar they’ve just teased us with. Oh boy. The new, still-unnamed supercar looks like it’s an evolution of Ginetta’s G55 prototype racing track car, which they’ve been building since 2011. These cars (along with the earlier G50) even have their own one-make racing series, the Ginetta GT4 Supercup. All that’s been revealed about the upcoming supercar is that it will have a “race derived 600+ bhp naturally aspirated V8 alloy engine designed and manufactured in-house,” a sequential gearbox, and will be built on a carbon fiber tub chassis. 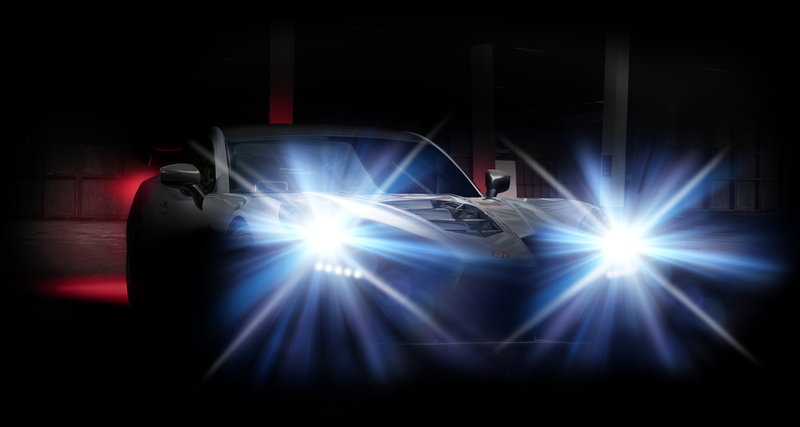 The teased images show an attractive silhouette with classic sports car long hood/short deck proportions, and the front image shows blinding headlights and a lot of hood vents. These look like they’ll be a supercar choice for those who want something different, and something with a little more gravitas and racing pedigree than the usual options. I’m sure it won’t be long before you’re seeing these in the parking lots of every other 99¢ Store in Los Angeles.